Are you struggling with acquiring leads for your business? 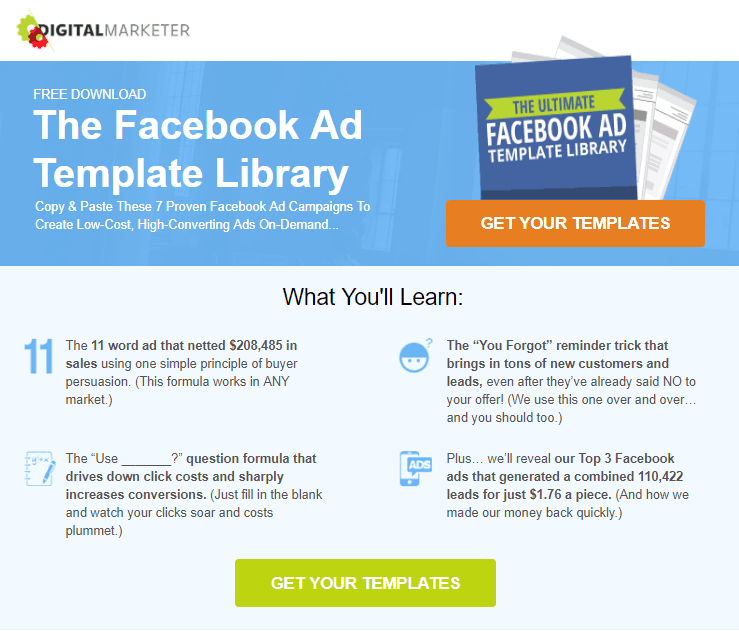 What is a lead magnet funnel? A lead magnet funnel is simply a funnel where you acquire leads by giving away something in exchange for their email address. It could be done in the form of a video or a report or whatever you’d like, as long as you get them to exchange it for their email address. 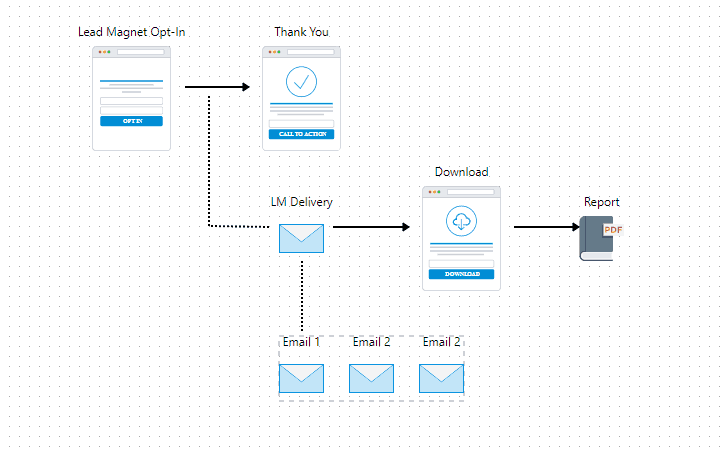 Side note: If you want to have this funnel template inside Funnelytics to map your own funnels, make sure to create your free account HERE. The goal with the lead magnet is to agitate the problem for the viewer or educate them on some process or idea relating to your business. Essentially you are trying to pre-frame them and get them in the right mindset before seeing your offering. Can be quickly consumed: This lead magnet offers immediate gratification since it offers them a solution that they can implement into their business ASAP. Attracts dream client: Digital Marketer offers a variety of high end digital marketing courses (including Facebook ads) so of course this lead magnet would attract those who want to learn more about Facebook ads. Remember, more leads equals more customers which always equals more mula. 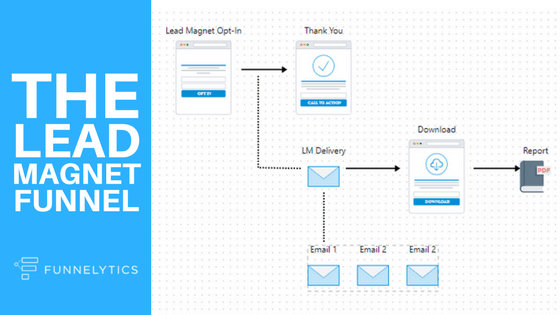 If you want to map out your own funnels (just like this lead magnet one), make sure to check out our free mapping tool at www.funnelytics.io.